Californian rockers, Smash Mouth, have announced they will return to Australia in November to play shows across the East Coast. Smash Mouth were regular chart toppers of the 90’s alternative music scene, selling in excess of 10 million albums worldwide. They are no strangers to Australian audiences with songs like the All Star, Can’t Get Enough of You Baby, Walkin’ On The Sun and celebrated Monkees classic I’m A Believer, all of which have become radio staples and included on party playlists everywhere! Last year the multi-platinum and Grammy-nominated band celebrated the 20th anniversary of their debut, smash-hit album “Fush Yu Mang”. Back in 1997, the single Walkin’ On The Sun was an immediate international sensation and quickly shot to No. 1 on the US Billboard charts, and eventually boosting the album sales to over 3 million copies in the US alone. In the two decades since, Smash Mouth have not slowed down. In fact, they are still as vibrant as ever with their groovy beats, memorable melodies and fun lyrics. Their 1999 release ‘Astrolounge’ was a brilliant follow-up album boasting three top- ten hits All-Star, Then The Morning Comes, and Can’t Get Enough Of You Baby and sales for that album nearly doubled those for their debut. 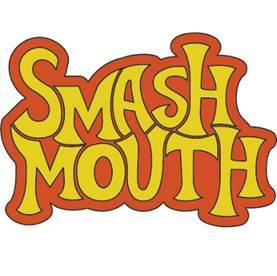 Smash Mouth’s third, eponymous release featured the smash hit I’m a Believer providing the musical heart of the soundtrack for Shrek. Smash Mouth is indeed – at its core – about having fun.